Majella Wines of Coonawarra, South Australia, is a family-based winery focused on a non-interventionist style of wine making. The Director of the winery, Brian Lynn, a.k.a. “The Prof”, was cheerful and cordial as tasters approached his booth during the Vancouver International Wine Festival in February 2015. I remember walking up to the Majella table at the festival, glass in hand, notebook in the other, ready to taste what seemed-to-be the only sparkling Shiraz in the entire tasting room. Generally speaking, Australia makes a lot of wine from Shiraz. I was slightly disappointed because Australia was the key country and Syrah/Shiraz the key grape. I am a bubbly person! [Ha!] That being said, I was happy to have found one in that ginormous room. As soon as The Prof poured my taster he confidently said, “You’ve got the wine that’ll make me smile.” Indeed. The 2008 Majella Sparkling Shiraz ($39.99) was a very entertaining wine. According to Brian, they only make this Methode Champanoise sparkling in the very best years. This animated bevvy hosted sweet plum, raspberry, cherry, and candy apple notes. It was slightly off dry with a good acidic structure. The mousse was charming and not overly aggressive. I liked. 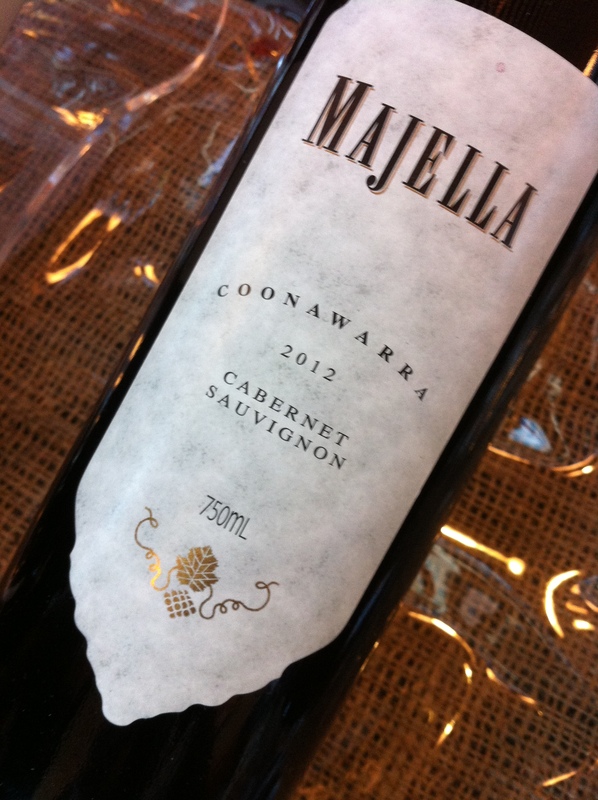 The second wine I tried at the Majella booth was the 2012 Coonawarra Cabernet Sauvignon. I have a soft spot for Coonawarra, and this was definitely a winner when it came to the heart of things. Oodles of blackcurrant, cherry, and blackberry came out of this developing wine. It was a smooth, easy drinking Coonawarra that did not shout capsicum at you (although I quite enjoy that characteristic in this region’s wines). The tannin was soft and inviting, and the gentle toast notes were the result of being aged 23 months in French oak – half of the barrels new. 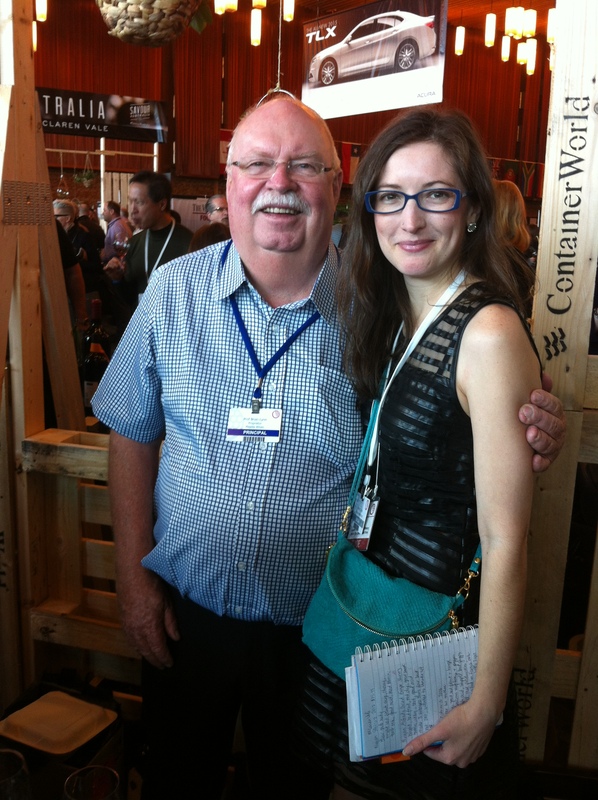 Post-festival, I had a chance to catch up with The Prof and dig up some dirt on the winery. [TDV] You mentioned during our conversation that Majella is focused on a non-interventionist style of wine making. Can you tell me a bit more about why that is a focused practice with your winery? I think we all know now that great wines are made in the vineyard. The simple philosophy is to develop great grape flavour out there in the vineyard and then try to capture that flavour in the bottle. 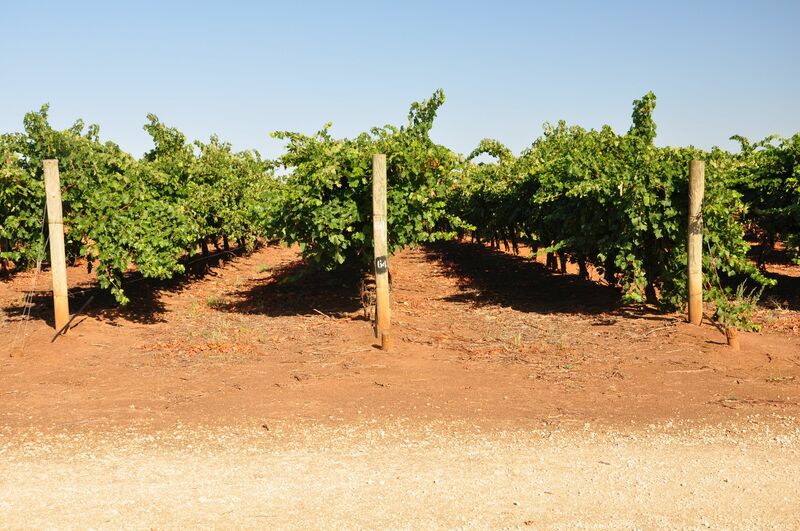 To this end we have planted our vines in great Coonawarra “terra rossa” soil, trellised them very simply and try to do as little to them as possible. Every time you do something it costs money, so we use the minimum of fungicides to keep disease at bay, very rarely use insecticides (and then only the BT type, which is organic larvicide) and pick by machine so we can harvest when the flavour profile is just right. WE [do] not use – or need – sorting tables! Our fermentation regime is very simple – and orthodox; we really just let nature take its course. No cold soaking or extended maceration, no fancy new-style fermenters – just simple, practical winemaking. After that it’s just oak maturation, a light filtering and bottling. It’s easy, takes a minimum of labour and achieves exactly what we want – to capture that mouth-watering fruit flavour and get it into the bottle. [TDV] I’m curious about the history of Majella and why wine making has continued to be a part of that history. I left school in 1967 and my brother Tony a year later. I’d decided to defer my university studies (I never did go to uni!) for a year or so and spend some time on our parents farm. Dad had bought a block in Coonawarra to grow prime lambs on and by sheer good fortune the front part of that block was pure Coonawarra terra rossa soil. I’d done a project on the (small) wine industry in Coonawarra and the idea of planting a vineyard intrigued us all. And so over twenty years or so we’d planted 60 hectares of Shiraz, Cabernet Sauvignon and a little Riesling. We were quite happy growing and selling grapes to larger wineries, but in 1991 we decided (for various reasons) to make a 10 ton batch of grapes into wine – the 1991 Majella Coonawarra Shiraz. The rest is history. Once you’re on the wine “treadmill” everything seems to follow. After a few years of getting the wine made up in another winery we decided to build our own facility, and eventually all our grapes were processed on site and the Majella we know was established. [TDV] When you saw me with the 2008 Sparkling Shiraz, I loved how you said to me, “You’ve got the wine that’ll make me smile.” (It was delicious, by the way.) 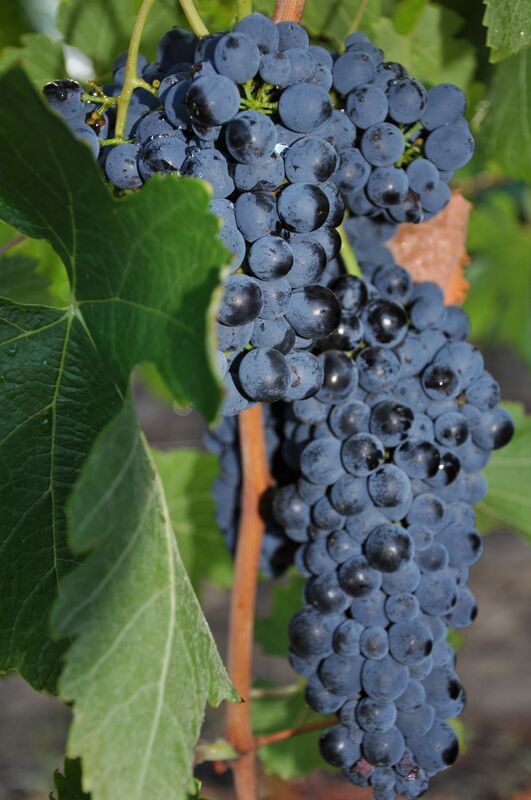 With sparkling Shiraz being made all over Australia, how do you make Majella’s stand out? 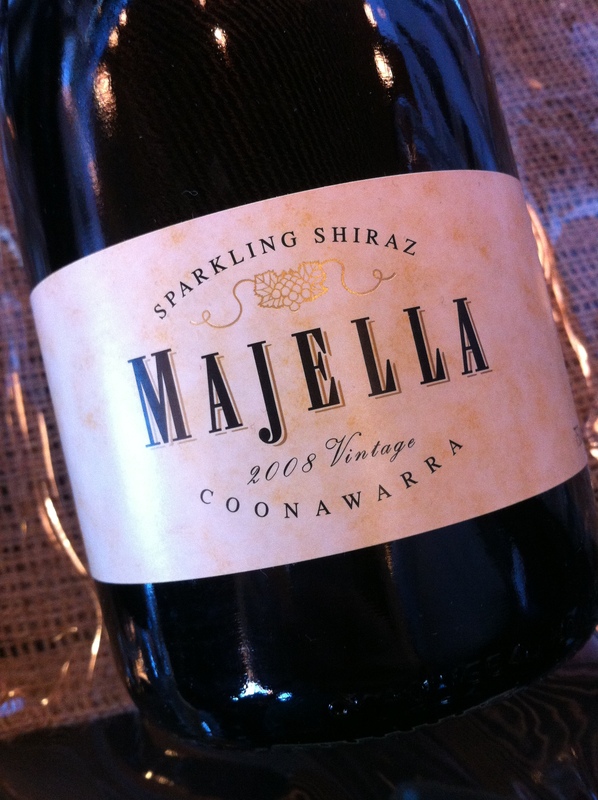 We make the Majella Sparkling Shiraz in a very traditional (Australian) style. Obviously it’s great fruit, from some of our best Shiraz, put through the traditional secondary fermentation method, at two years on lees and then “liqueured” with a dash of Australia Vintage port. I think it’s the quality of the fruit that makes it stand out. You can find Majella’s wines in British Columbia at both private and provincial liquor stores.